Flowering Date Mid to late Summer and Early Fall. Its sweet vanilla smell draws butterflies and hummingbirds, but this is one tough, versatile plant. 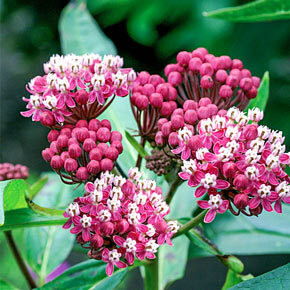 Suitable for moist soil, such as next to a lake, but also tolerant of dry conditions. Excellent for everything from large landscape projects to naturalizing to cut-flower arrangements. Flowering Date: Mid to late Summer and Early Fall. Winter Care: Mulch is advisable for the coldest zones. 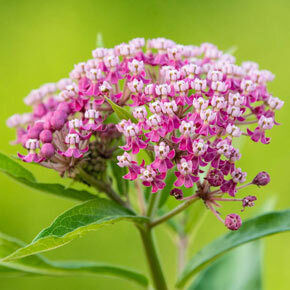 Flower Form: Clustered umbel-like cymes approximately 2" across. Vanilla scented. 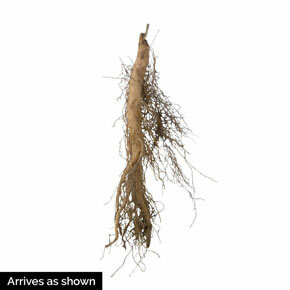 Foliage Type: Narrow elliptic to ovate leaves in medium green approximately 3-6" long. Watering Requirement: Very tolerant of poor dry conditions and drought, but will also tolerate moist conditions. Additional Information: Slow to emerge in the spring, so mark their location well.